The U.S. Armed Forces have kicked preparations into gear ahead of Hurricane Matthew. 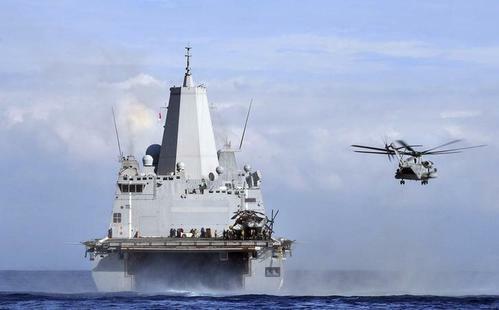 In Florida, the U.S. Navy has ordered three ships, the USS Anzio, the USS Montgomery and the USS Iwo Jima, to depart their base in Mayport and head north and east to ride out the storm in calmer waters. Other Navy ships there have moved to a safe location or are taking precautions to avoid damage in case the hurricane makes landfall, the Navy said. Moreover, the U.S. military's Northern Command has identified four facilities as FEMA installation support bases. 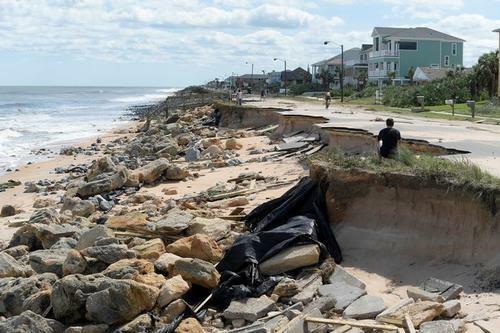 These areas will provide staging areas for trucks, trailers and other equipment and personnel that might be deployed during the weather emergency, the Pentagon said. The support bases are the North Auxiliary Field, which is north of Charleston, South Carolina, Albany Marine Corps Logistics Base in Georgia as well as Fort Bragg in North Carolina and Fort A.P. Hill in Virginia. 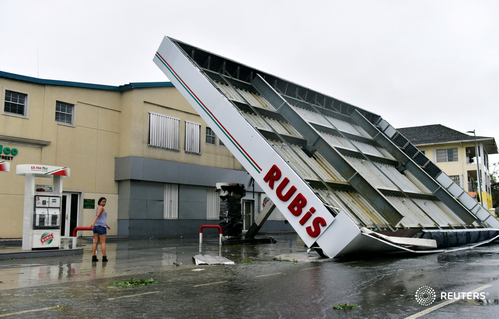 ReutersThe slow-moving cyclone, one of the most intense storms to menace the North Atlantic in the past decade, brought gale-force winds and dumped hazardous amounts of rain on several Caribbean nations. 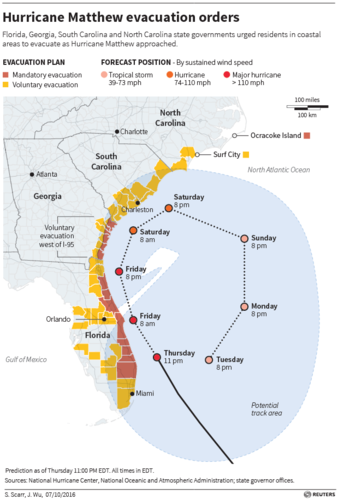 The Southeast United States is expected to experience a fuel crunch in the aftermath of Hurricane Matthew, as the storm barrels toward one of the largest energy-consuming regions in the country. 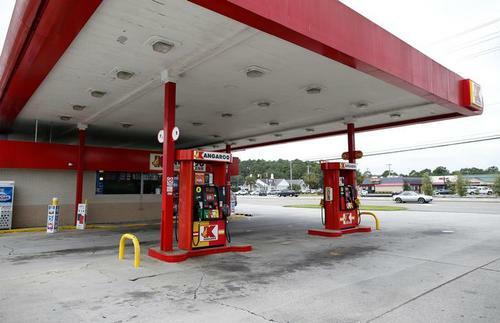 Some states are already experiencing supply constraints as motorists fill up tanks as an emergency precaution. 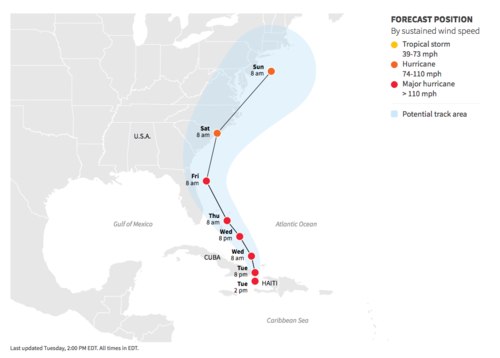 The region is not known for energy production, but there are significant storage facilities directly in the path of the storm that have already been evacuated. Hurricane Matthew has killed at least 140 people, almost all of them in hard-hit Haiti, where authorities and rescue workers were still struggling to reach remote areas on the southwestern peninsula as the storm powered its way towards Florida. 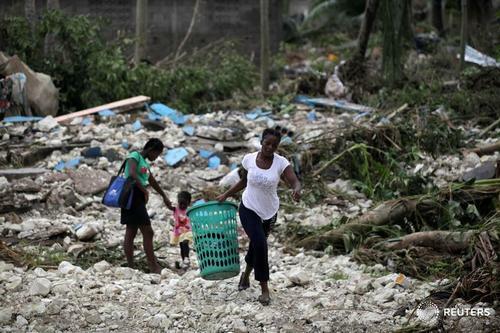 Haiti's civil protection service put the toll in the impoverished Caribbean nation at 108 dead, with many of them killed by falling trees, flying debris and swollen rivers. The Interior Ministry, a mayor and other local officials confirmed 28 other deaths to Reuters across Haiti. Most of the fatalities were in towns and fishing villages around the Tiburon peninsula, one of Haiti's most picturesque regions. The storm passed directly through the peninsula, driving the sea inland and flattening homes with winds of up to 145 mph (230 kph) and torrential rain on Monday and Tuesday. Delta Airlines says Flights resume at Miami, Fort Lauderdale and Palm Beach International airports. 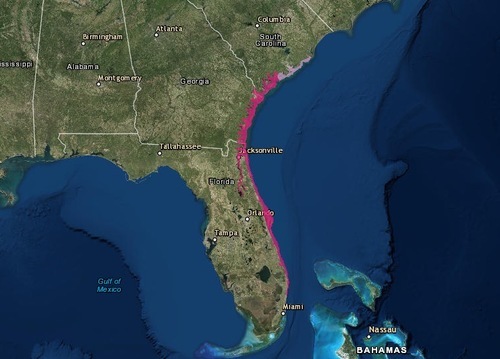 The hurricane's impact to coastal Florida airports has prompted roughly 200 Delta and Delta connection cancellations to the region today. Delta also says it has proactively canceled some 80 flight on Saturday, primarily for airports in northeast Florida, Georgia and South Carolina coastline. The USS Mesa Verde, a U.S. Navy amphibious transport dock ship, is steaming toward Haiti to support relief efforts after Hurricane Matthew killed more than 800 people and left thousands homeless in the Caribbean country, the Navy said on Friday. A Navy spokesman said the ship would bring a large set of capabilities, including three CH-53 heavy lift helicopters, bulldozers and fresh water delivery vehicles. The ship can produce 72,000 gallons of fresh potable water per day and is stocked with pallets of food, medicine, baby formula, diapers, first aid supplies and other key items. The ship has a surgical team which can work out of two operating rooms on board. 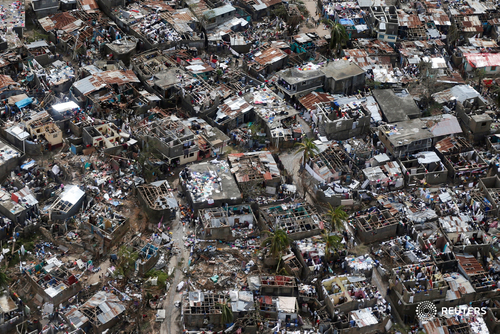 Hurricane Matthew's trail of destruction in Haiti stunned those viewing the aftermath on Friday, with the number of dead soaring to 842, tens of thousands made homeless and crops destroyed in the impoverished Caribbean nation's breadbasket region. Information trickled in from remote areas that were cut off by the storm, and it became clear that at least 175 people died in villages clustered among the hills and coast of Haiti's fertile western tip. Matthew pushed the sea into fragile coastal villages, some of which are only now being contacted. At least three towns reported dozens of fatalities, including the hilly farming village of Chantal, whose mayor said 86 people perished, mostly when trees crushed houses. He said 20 more people were missing. "A tree fell on the house and flattened it, the entire house fell on us. I couldn’t get out," said driver Jean-Pierre Jean-Donald, 27, who had been married for a year. "People came to lift the rubble, and then we saw my wife who had died in the same spot," Jean-Donald said, his young daughter by his side, crying "Mommy." Dozens more were missing, many of them in the Grand'Anse region on the northern side of the peninsula. Coastal town Les Anglais also lost "several dozen" people, the central government representative in the region, Louis-Paul Raphael, told Reuters. With fatalities mounting, various government agencies and committees differed on total deaths. 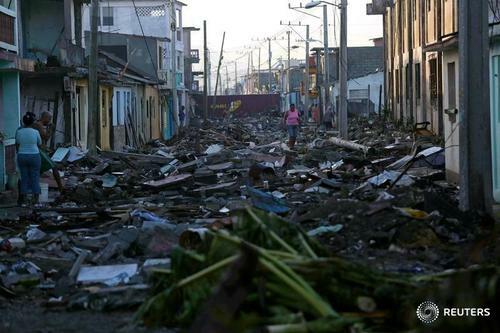 A Reuters count of deaths reported by civil protection and local officials put the toll at 842. UPDATE: The National Hurricane Center has downgraded the storm to a Category 2 on the five-step Saffir-Simpson scale of hurricane intensity as its sustained winds dropped to 110 mph. A Category 5 is the strongest. "I built the house so I wouldn't have to go. I'm a little short on whiskey and toilet paper but other than that, I'll be fine." Roger Pinckney is a writer who lives on Daufuskie Island, South Carolina. He has pledged to stay put as the storm rolls in. 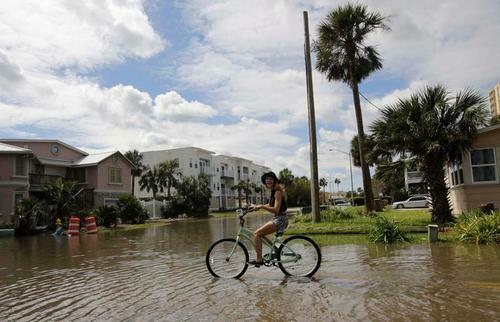 On East Bay Street, Joshua Doyle, 33, who lives aboard a 30-foot sailboat in the Ashley River on the city's west side, walked around the street near the Battery, drenched. "I have a rain jacket," he said "I just didn't put it on. Living aboard, I'm used to being wet." Doyle said he evacuated the boat onto the Charleston peninsula to stay with friends during the storm. "I knew that staying aboard wouldn't be a good idea," he said. 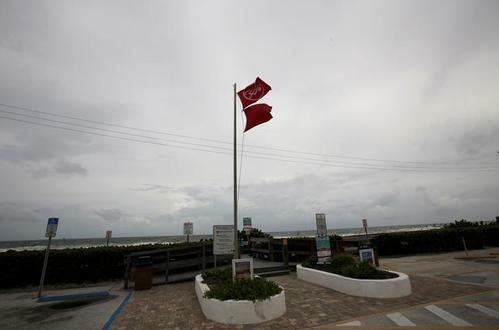 Jacksonville Mayor Lenny Curry said the city would lift an evacuation order covering the beach neighborhoods at noon, but warned residents to expect damage. "You are going to continue to see some flooding, damage and power outages," Curry told reporters. The latest from the National Hurricane Center. 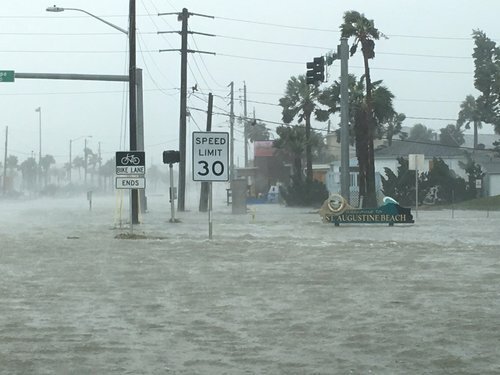 Many coastal and inland communities are still under water, either from coastal storm surge or overrun rivers and creeks, and dangerous conditions existed from downed power lines and damaged homes.